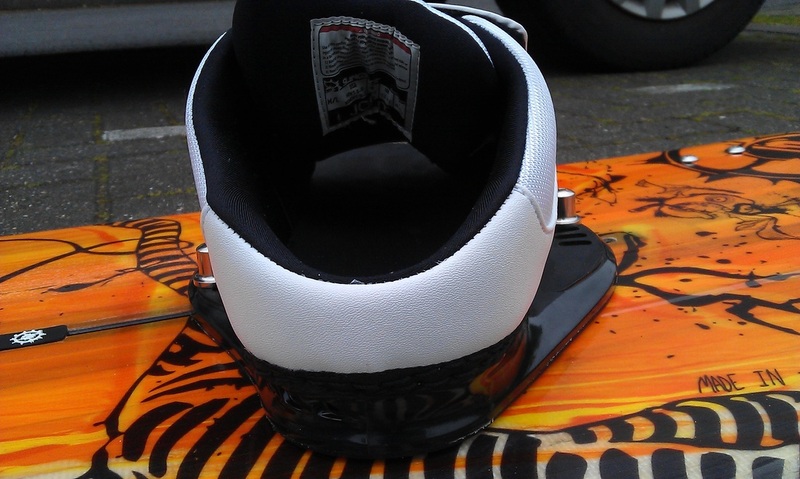 On first inspection, the Joint bears more resemblance to the slingshot range of bindings, than it does to their foot straps. 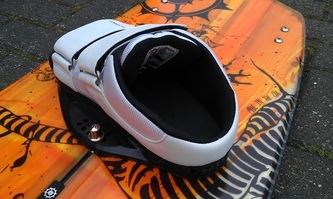 The base plate and construction of the upper is assembled in an identical fashion to that of the Slingshot option bindings - heavy duty leatherette and nylon with a neoprene inner lining. The base plate is plastic so that it flexes with the board and the underfoot cushioning goes straight through to the deck of the board for a very solid connection. 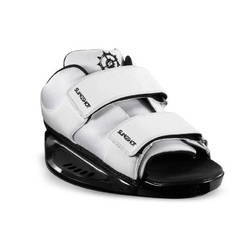 It's best to get the velcro straps loosened off in order to get into them nice and easily. Its possible without, and may perhaps be easier when they have been worn in somewhat, but to get them on nice and tight it's best to loosen initially and tighten afterwards - not quite as easy as straps which you can often get into in a matter of seconds. 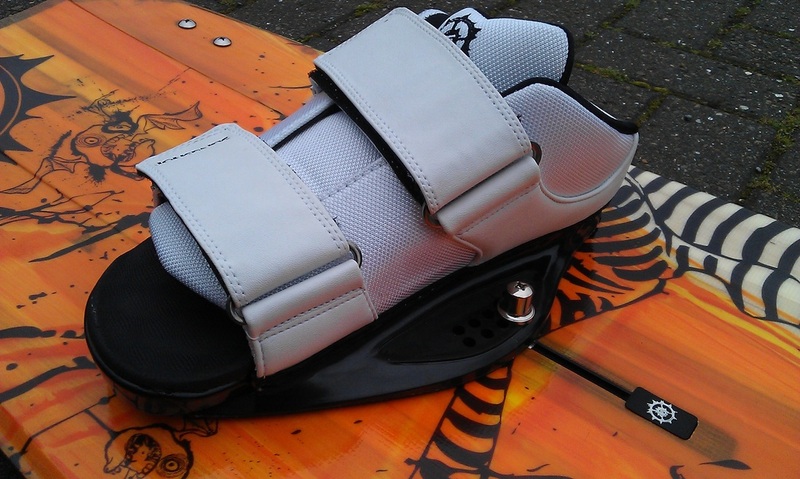 Once in, the level of connection to the board is impressive - very similar to riding in boots, yet without the restrictions to ankle mobility. They have a pretty cool feel to them whilst riding - the solid connection feels great and the board feels like an extension of your body and you feel like you're riding with more style. They also allow you to hold down more power when going into tricks, and also makes spinning the board on the surface considerably easier. Unlike straps, its pretty important to get the angle of the straps correct as your foot is supported along its entire length and cannot be twisted to adjust the angle. On wiping out after a trick, your feet come out with no issues at all, and they can also be removed by lifting your heel and either stepping out or kicking off. A great option for anyone looking for a greater connection and boot-like board feel, without the restriction and bother of riding boots.